SKU: CCP. Categories: Bracelets, CLASSIC BRACELETS, Collections. 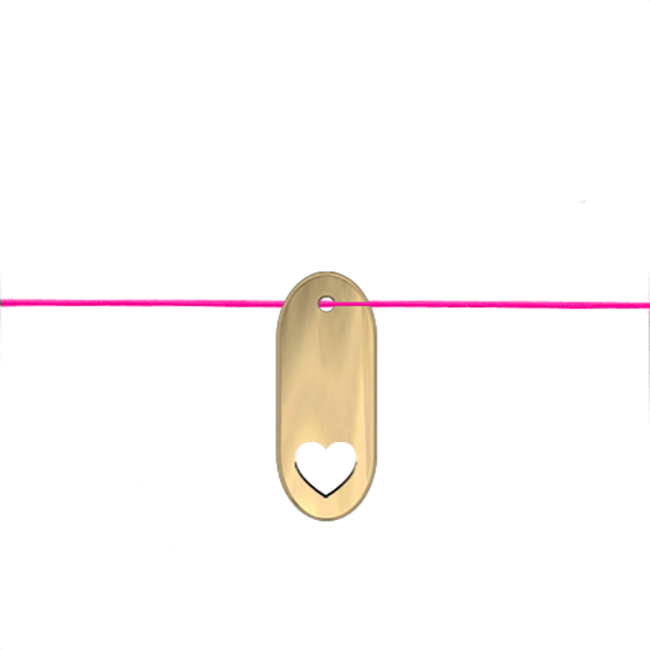 This Allumer Classic Cord bracelet, from the ‘Classic’ collection by Natasha Leith-Smith, ‘The Rolls Royce of friendship bracelets’ (Vogue), features a rectangle, pill, oval or flame shaped 9ct White Gold, 9ct Yellow Gold, 9ct Rose Gold, Black Rhodium or Silver charm with either a flame cut out, heart cut out, diamond or your own special message that comes on a colourful cord. A perfect way to treat a friend or yourself! Beautifully finished and packaged in the exculsive ‘Allumer’ matchbox. Charm: 15 mm x 6 mm. nstructions are included in the matchbox.